What in the World is Henrik Fisker Working on Now? 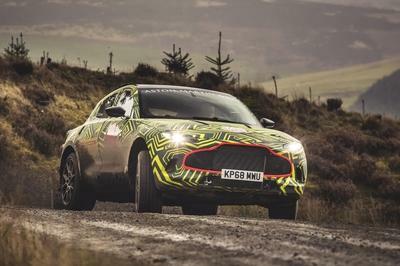 As easy as it is to imagine what this new vehicle is going to be, I think we can shoot down any thought of it being another sports car. The image that Fisker tweeted even shows as much because unless the car in question carries a weird design for a coupe, all indication points to it being an MPV. Notice how the roof drops when it approaches the rear section of the car? 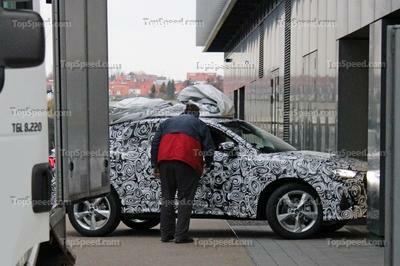 That’s a tell-tale sign of an MPV, far different from the sloping shape of a coupe or even a sedan. The bigger hint here isn’t really about the car itself; it’s the purpose behind it. 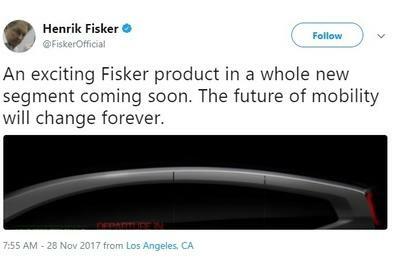 Fisker alluded to it when he brought up the “future of mobility” in his tweet. If I’m right, the car he’s working on is some kind of mobility shuttle that takes the shape of an MPV. The “Departure In” text on the window adds weight to the car being used for public transportation, possibly with an autonomous driving system that can whisk passengers away to their respective destinations. 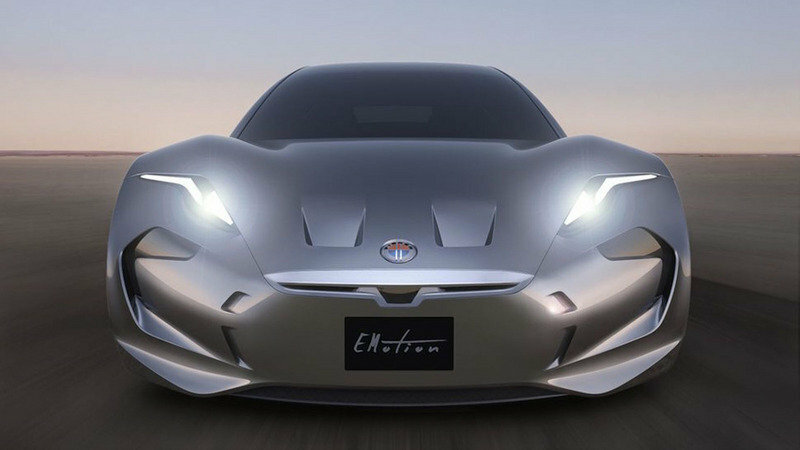 We’re still at the mercy of Fisker as far as details are concerned. 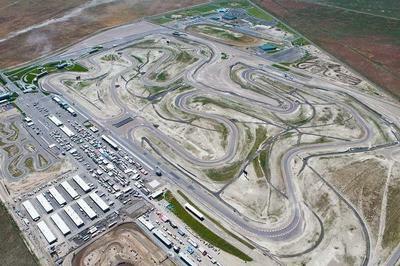 I do expect more information to be revealed sometime in the coming year. 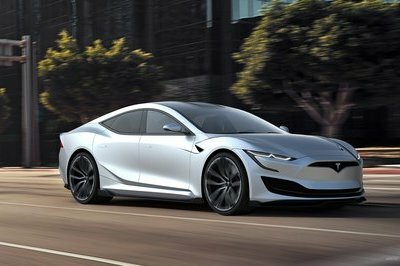 For now, the industry’s focus remains on the $129,900 Fisker EMotion, the electric sports car that’s said to have up to 400 miles of battery range and a top speed of 161 mph, numbers that make it competitive against the segment’s current standard-holder, the Tesla Model S P100D.